The New York Jets are living by the big play on Sunday against the Denver Broncos. This one came courtesy of Sam Darnold and Robby Anderson. New York scored its first touchdown of the day in the second quarter on a 76-yard touchdown run from Isaiah Crowell (which you can see here). 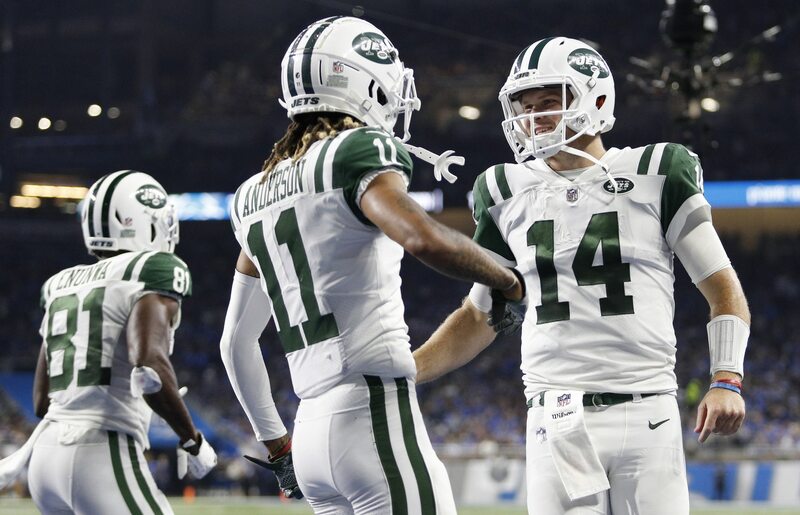 On their next possession, the Jets were in the end zone on another long play when Darnold and Anderson connected on a 76-yard bomb. That’s just a great burst from Anderson off of the line. Of course, the perfect strike from Darnold helped. Once Darnold hit Anderson in stride, Bradley Roby didn’t stand much of a chance.